ASICentral.com is your primary hub for distributors and suppliers in the promotional products industry. With a strong visitor pool of distributor salespeople responsible for buying decisions, ASICentral® will showcase your ad to be noticed by the people who matter most. 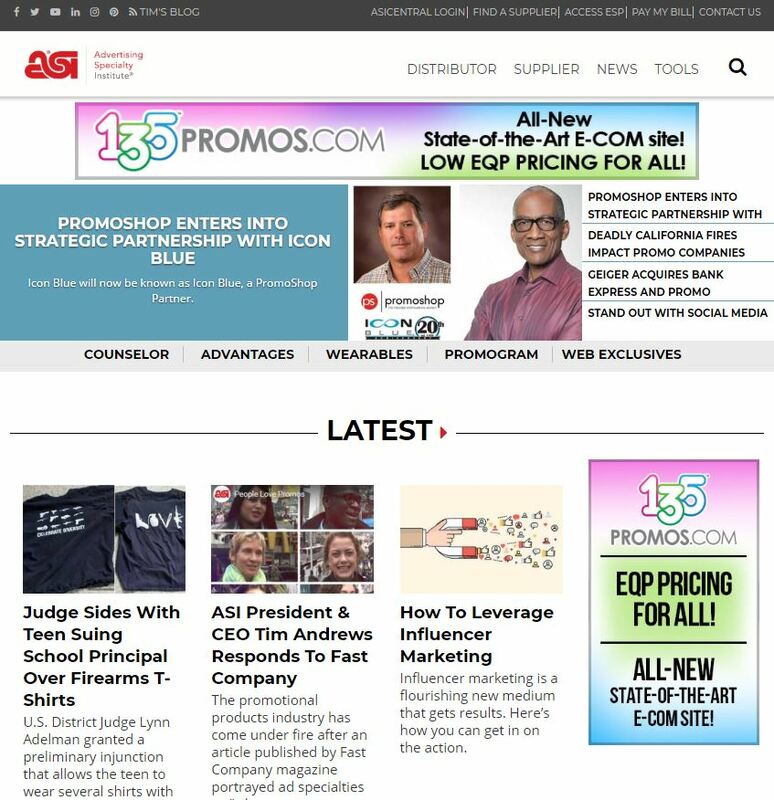 Place your message on the site the industry turns to for the latest news, sales advice, trends, market analysis and more. Enjoy 265,000+ monthly page views by utilizing our ad position options.